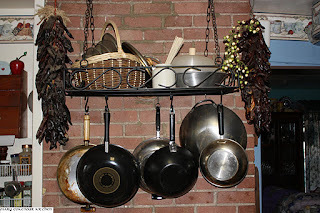 One year ago today, the movie "Julie and Julia" inspired me to create this food blog. Funny to think how often I had had the desire to write a cookbook, but no publisher would consider my work as deserving. 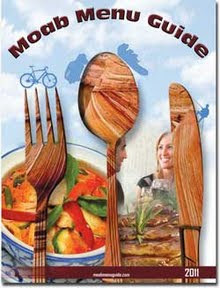 Yet, with this blog, I have done exactly that, written a cookbook online and through a popular media format...the blog. Within my "cookbook" I have shared many a recipe from my life and explored new cuisines to share with my readers. The year itself, as with any life, was full of ups and downs, happiness and sadness, gains and losses; there are no regrets and happy memories overshadow any negativity which tried to invade my life. I increased my own culinary knowledge and potential by adding restaurant and product reviews to my lineup of posts. While many enjoyed, and found helpful, these reviews, I found that many a coward tried to bash me with anonymous comments. These cowards, of course, caused me much laughter at their sheer stupidity, so I must thank them for their lack of manners and intelligence. Another adventure I started a journey on was the world of baking. I must admit that I have not ever truly enjoyed baking due to the strictness of measuring and preciseness required. However, by daring to learn I have acquired a new talent. All in all, I have loved this journey, this series of culinary adventures. I must however give thanks to those who were my guinea pigs, the many people who were often called upon to try my experiments and were required to give critiques. I give thanks to all those people who have been reading my blog and hope that they will eventually join the rank of "Follower". I especially thank my husband Roy who has had to taste, eat and critique every recipe; who has had to duck and cover when complete chaos erupted in the kitchen. I love you dear and my life is totally complete with you in it. 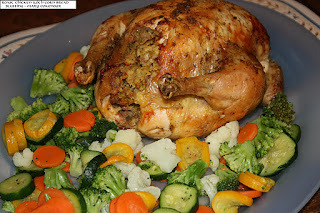 To celebrate this day, a fine feast was prepared of roast chicken, cornbread stuffing and a steamed vegetable medley; simple and oh so comforting. I hope you will make it yourself and join in the celebration of "Food Adventures with a Comfort Cook". Thank you and Bon Appetit'!!! Preheat oven to 350F. Spray roasting pan and rack with nonstick cooking spray. Wash chicken with cold water and make sure to remove any organs stuffed inside; discard or use for gravy making. Tuck wings over neck opening and skewer skin flap over to close opening and keep wings from over browning; set chicken aside. In a small skillet, medium-low heat, melt butter and sauté onion, celery and carrots until softened; mix in ¼ teaspoon pepper and the parsley. While vegetables are sautéing, combine corn bread and half can of chicken broth in large bowl; add in softened vegetables and mix thoroughly. Stuff chicken with corn bread mixture and seal opening with skewer; tie legs together with butcher twine. Rub olive oil over all of the chicken and sprinkle seasoning combination all over; place chicken on pan rack (breasts side up). 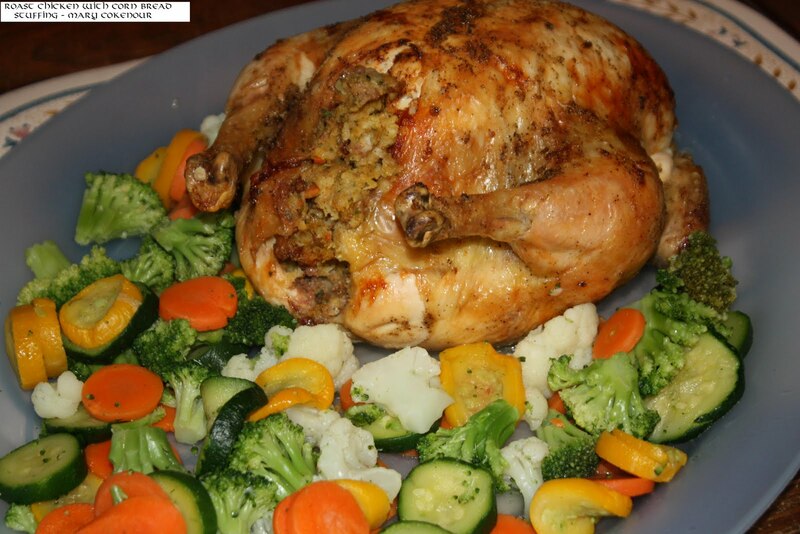 Pour remaining broth and water into roasting pan; place pan in oven and roast chicken for 2 ½ to 3 hours, or until internal temperature reaches 165F and juices run clear. Remove chicken to platter to rest; pour drippings from pan into small saucepan, set on high heat; whisk in flour and bring to boil. Carve chicken and serve with gravy.